View cart “Starbucks Select and Fruit in a Crate” has been added to your cart. 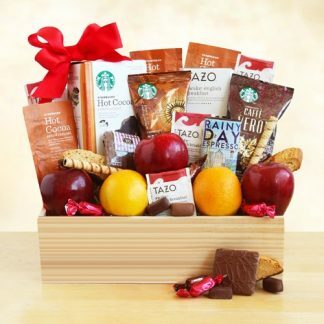 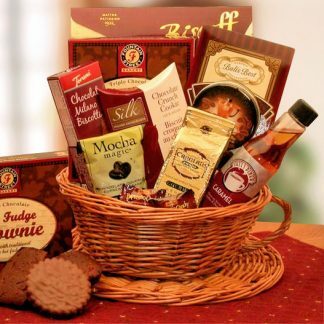 A combination of great looking, tasty seasonal fruit and a marvelous collection of Starbucks coffees, tea and cocoa mix will certainly be welcomed and greatly appreciated, inside a great wooden gift crate. 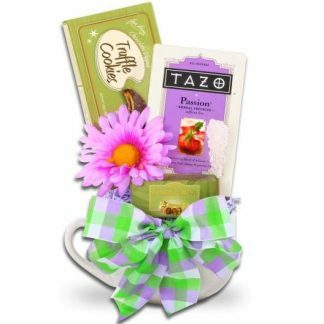 Whether it’s to say thanks, congratulations, happy birthday or maybe ‘Keep up the great job!’, it will be very well received. 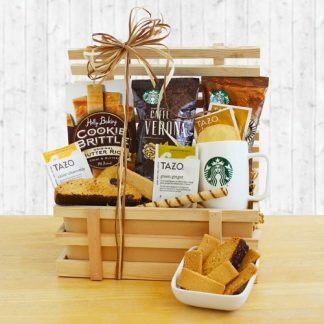 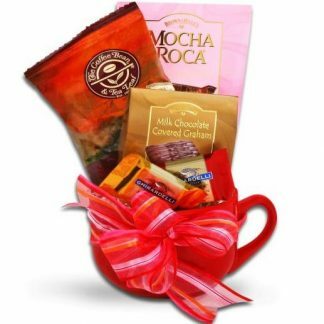 This gift includes: A variety of Starbucks coffees, a box of Tazo tea, cocoa mix, fresh, seasonal fruit, chocolate-covered graham crackers, biscotti, Starbucks straw wafer cookies and a chocolate bar.